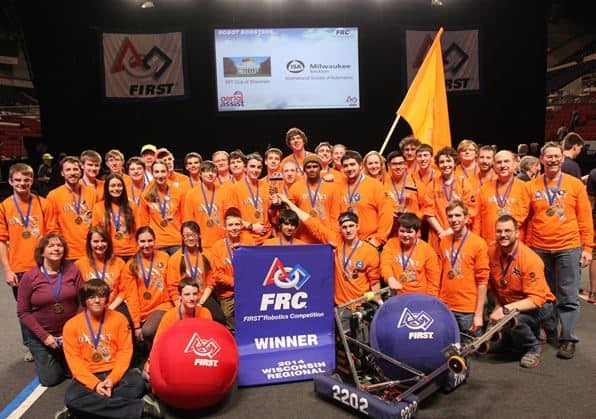 BROOKFIELD, March 24, 2014 — Over the weekend, sixty Robotics teams from across the nation competed for a spot in this year’s national competition. The BEAST Robotics team, made up of 50 Brookfield high school students from both Brookfield East and Brookfield Central High Schools, competed in downtown Milwaukee at the US Cellular Area for a chance to go to Nationals. Their win last weekend means the team will represent Brookfield at the national competition in St. Louis in late April for the first time in the team’s eight year history. “The FIRST Robotics challenge for 2014 kicked off on January 4th and the students work very hard, with 4 meetings each week during what we call our “build” season. They collaborate on many levels — between our two Brookfield high schools, between grades, between students with different skills and interests, between the team and mentors — to pull together a robot that fits the competition requirements. This success, however, is about more than just building the robot to the specifications. The students take the “product” from concept through delivery; they design it, build it, test it, program it, market it, package it, and use it. I really believe in this team; it provides a great opportunity for students to see what it takes to succeed in the working world.” Debby Oakes, Brookfield East graduate and BEAST Robotics Mentor. The BEAST Robotics team is not a school-funded program. The team also takes on identifying and working closely with sponsors who help support the team’s success. “Our sponsors provide mentorship and support through tours and funding. All of our costs, from equipment to team t-shirts, come from either team parents or the support of our team sponsors. We couldn’t be successful without our sponsors.” Sean McCall, Brookfield East student and Business Team Lead. 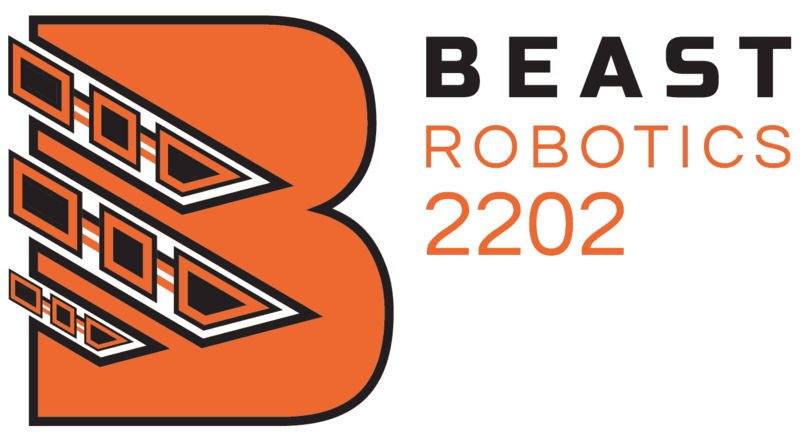 BEAST Robotics team sponsors include ABB, GE Volunteers, MSOE, ESI, Signicast, Brady Corporation, Syslogic, Trace-a-Matic, Generac, Boyle Frederickson and Oak Hill Business Partners. The competition includes teams that all participate in the FIRST organization. Founded in 1989, For Inspiration and Recognition of Science and Technology (FIRST) designs programs to build knowledge, self-confidence, and life skills while motivating young people to pursue opportunities in Science, Technology, and Engineering. Over 2700 teams around the world have six weeks to brainstorm, prototype, design, build, and test a robot to compete in one of the 98 district and regional competitions around the world. Richard Oakes, BEAST Lead Mentor, also received the prestigious Woodie Flowers Finalist Award for dedication to the team, and his distinguished ability to lead, inspire, and empower students through teaching and effective communication. The BEAST Team has experienced great success in the last few years at these competitions. Additionally this season, the team won the Judges Award in Terre Haute, Indiana for their outreach to diversify interest in engineering for young girls. Last year they took home the Kleiner Perkins Caufield and Byers Entrepreneurship Award for creating a sustainable team model for others to emulate. Ed Oakes, a senior at Brookfield East, was named a Dean’s List Finalist award last year for his outstanding 8 year commitment to the BEAST Robotics team and the FIRST organization. “This was my first year participating and it was a lot of work but I know I learned a lot. I am especially happy for the people who have participated for several years – to get a chance to go to Nationals! This is going to be exciting!” Daniel Owen, Brookfield Central Student and Programmer.